If the idea of living on a peaceful, secluded estate in the countryside among a community of like-minded neighbours appeals to you, then you’re not alone. Over 250,000 people in the UK have made the decision to move to a park home and, as they tend to be less expensive than traditional properties (as our guide to park home costs explains), it's currently a very popular way for people to free up equity to fund their retirement. 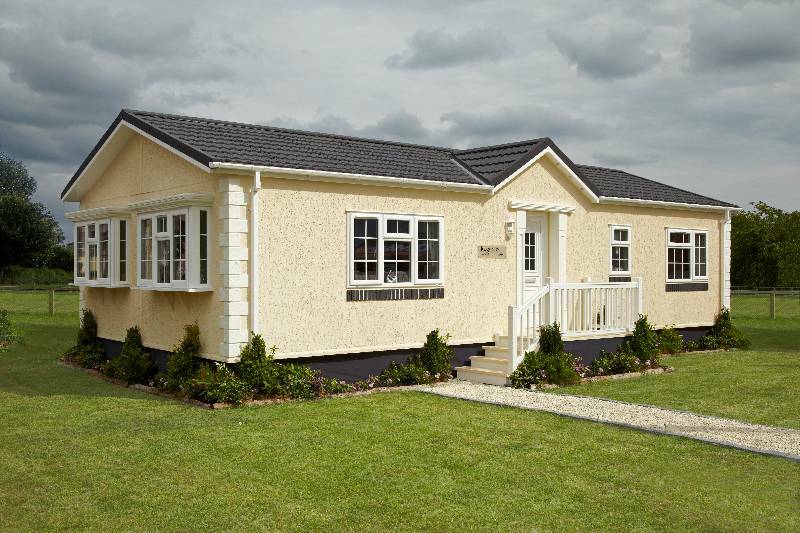 One of the key differences between a park home and a traditional property is that you can’t get a mortgage on a park home. This is because park homes don’t have the same legal status — you can learn more in our guide to park homes and mortgages. While there is no standardised loan for buying a park home, there are a number of companies offer specialised loans that allow you to borrow money to cover the purchase cost, using the park home itself as security. The rates on these sorts of park home loans will not be as competitive as a mortgage, but if you have no other means of financing your park home, then this is likely to the best option for you. Some lenders will even provide up to 80% of the total purchase price, with loan periods up to 15 years. As long as the lender you choose is regulated by the Financial Conduct Authority(FCA), then you should be in safe hands. Bear in mind that a park home won't accrue value in the same way as a bricks and mortar property — in fact, they often depreciate in value over time. While this generally isn’t an issue for the residents, it can present a risk for the lender and, as a consequence, this type of loan usually comes with much higher interest rates than a typical mortgage, and will usually require a larger deposit. It also means that, unlike a mortgage, you may not be able to pay off your loan by selling your park home. And, as with any loan agreement, your park home maybe repossessed if you run into arrears. Exactly what sort of rates you can expect will vary depending on the property you choose. Both the type of loan you’re eligible for and the rate you’re likely to get are at least partly dictated by the length and terms of your lease. Lenders prefer longer leases, as this gives them greater security, so you may want to bear this in mind while looking for a park home to buy. When choosing a loan to help you cover the cost of a park home, you'll need to consider your own personal circumstances, including long-term affordability. When looking for the best deal, it’s important to shop around and get quotes from various lenders, so you can ensure you get the best possible rates. You’ll also need to undergo a hard credit check before being approved. Buying outright is a popular option with those who already have some assets set aside for retirement. This way, you won’t need to worry about paying back a loan or finding the money for a deposit. Here, we've shared a couple of options for buying a park home outright. If you own your current home and you're in positive equity (i.e. you can sell for more than you owe on the mortgage), then the simplest way to fund your purchase is to sell up. Park homes tend to be far cheaper than traditional houses, so it's likely that you'll raise enough money to buy outright. If this is how you plan to finance your park home, then you should bear in mind that you’ll also need to factor the cost of estate agent fees and conveyancing into your overall budget, as these will eat into your profit from the sale. And, if your current property is still under mortgage, you may need to pay early repayment fees, too. If there's a downside to this method, it’s probably the length of time the selling process can take. You'll need to find a buyer and wait for the conveyancing process to complete before you can access your equity, which can take months. But, if you've built up equity or paid off your mortgage, this is still a more cost-effective way to buy a park home than using a personal loan. Many people opt to sell using a part-exchange scheme to streamline the process, so they can access their equity and buy their new home more quickly. If you've got some savings or a pension pot saved up, then you could consider using a chunk of this to finance your purchase. As park homes can start from around £50,000, they can be a good option if you’re currently renting but don’t have enough saved up to buy a traditional home. Of course, if you're going to be living off your pension or savings after you move, then you'll need to make sure that you'll have enough to comfortably support you for the rest of your retirement. So, you'll want to consult a financial advisor, to work out how feasible this route is going to be. If you do plan to finance your park home using equity from your current property, then you may want to consider using a part-exchange scheme to save time. This is where you sell your home to a part-exchange company, who will then deduct the value of your current home from the price of your new park home. If your current property is worth more than the park home you want to buy, then you will receive the rest of the value as a lump sum. With a part-exchange scheme, you won’t need to worry about drawn-out negotiations or long chains of sellers and buyers, so it’s a good option if you’re keen to move into your new park home as soon as possible. For those who find selling stressful, it can help to simplify the process, and you won’t have to worry about the buyer pulling out or the sale falling through. It also means you won’t need to spend time and money redecorating your home to appeal to buyers, as you’ll already have a guaranteed buyer in the form of the part-exchange company. If selling up and moving to a park home sounds like the route for you, then take a look at our guide to downsizing your hometo learn more about what you'll need to do.As with any big investment, you should speak to a financial advisor before you make any major decisions.